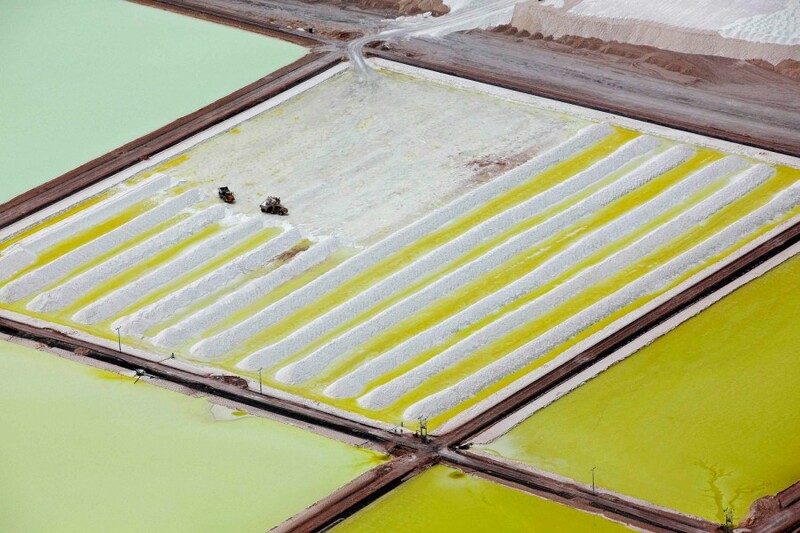 An aerial view of the brine pools and processing areas of the Soquimich lithium mine on the Atacama salt flat, the largest lithium deposit currently in production, in the Atacama desert of northern Chile, on Jan. 10, 2013. 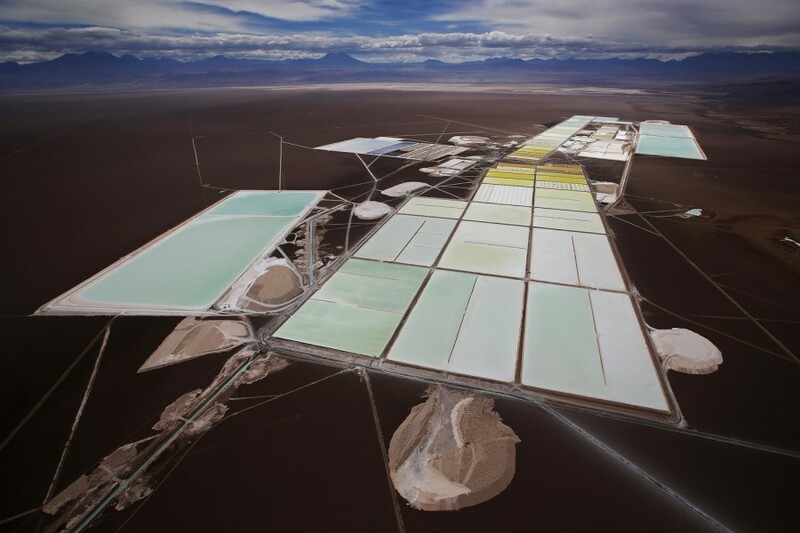 Argentina, Chile and Bolivia hold the planet's largest reserves of lithium, the world's lightest metal and a key component in batteries used to power a range of technologies from cell phones to laptops to electric cars. Industrial production from countries in this so-called "lithium triangle" is already high. Chile is the world's leading source of the metal, turning out around 40 percent of global supply, and Argentina is also a significant producer. 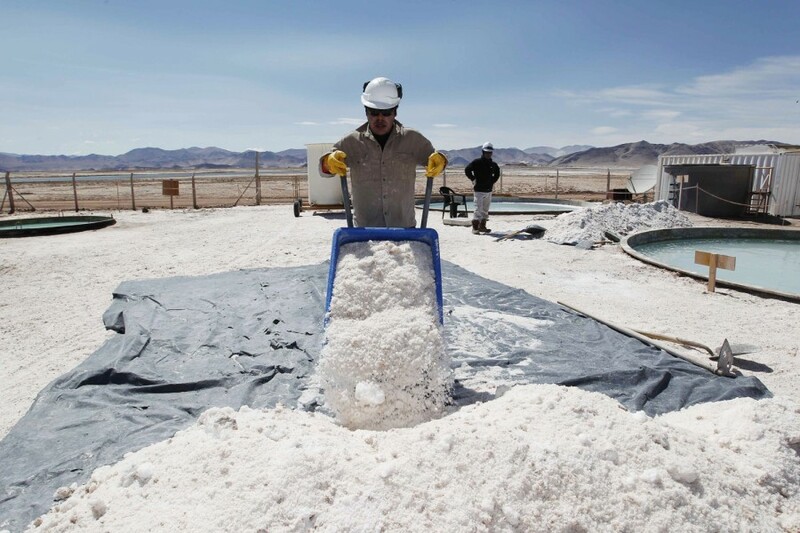 Output from the Andes may soon rise after Bolivia - the country that holds an estimated 50 percent of the world's lithium reserves - opened its first lithium pilot plant in January. Read more about the photographers' trip to the 'lithium triangle' on the Reuters Photographers Blog. Editor's note: Photos made available to NBC News on April 5. 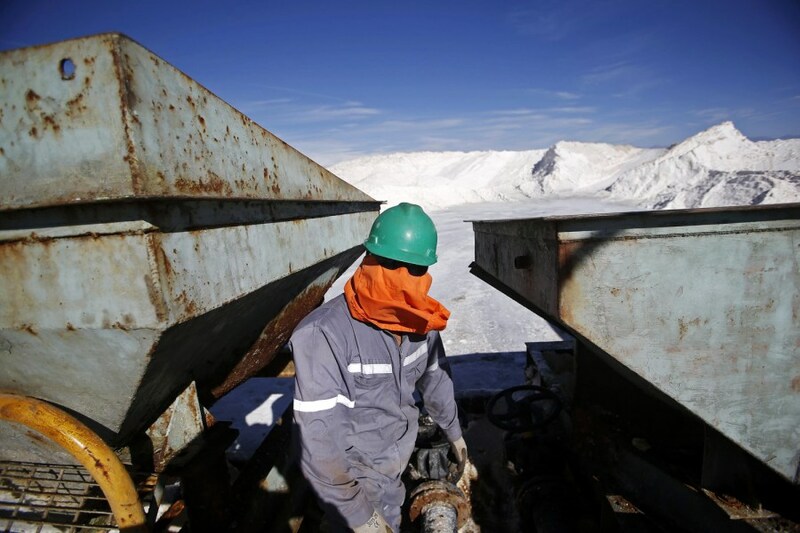 A worker protects his face from the sun as he inspects machinery at the Rockwood Lithium plant on the Atacama salt flat, the largest lithium deposit currently in production, in the Atacama desert of northern Chile, on Jan. 8, 2013. 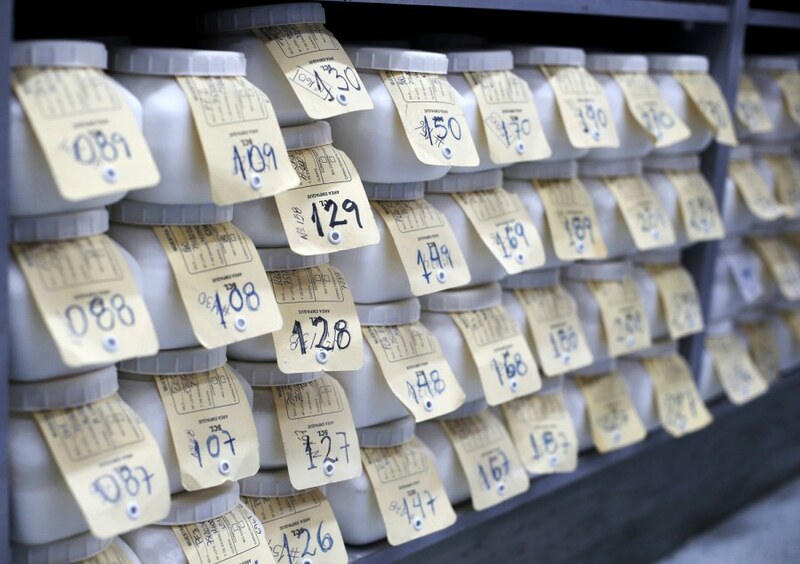 A view of samples of lithium carbonate processed from the Rockwood Lithium mine on the Atacama salt flat, the largest lithium deposit currently in production, in Antofagasta, northern Chile, on Jan. 14, 2013. 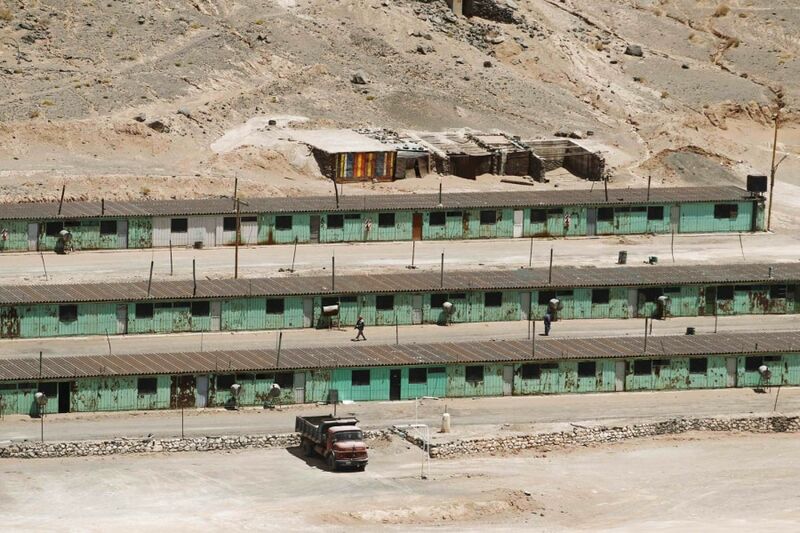 Overview of a mining camp on the Salar del Hombre Muerto, or Dead Man's Salt Flat, an important source of lithium at around 13,123 feet above sea level on the border of the northern Argentine provinces of Catamarca and Salta, on Oct. 28, 2012. Braulio Lopez of Galaxy Resources lithium mining division carts halite concentrate at the Salar del Hombre Muerto, or Dead Man's Salt Flat, an important source of lithium at around 13,123 feet above sea level on the border of the northern Argentine provinces of Catamarca and Salta, on Oct. 28, 2012. 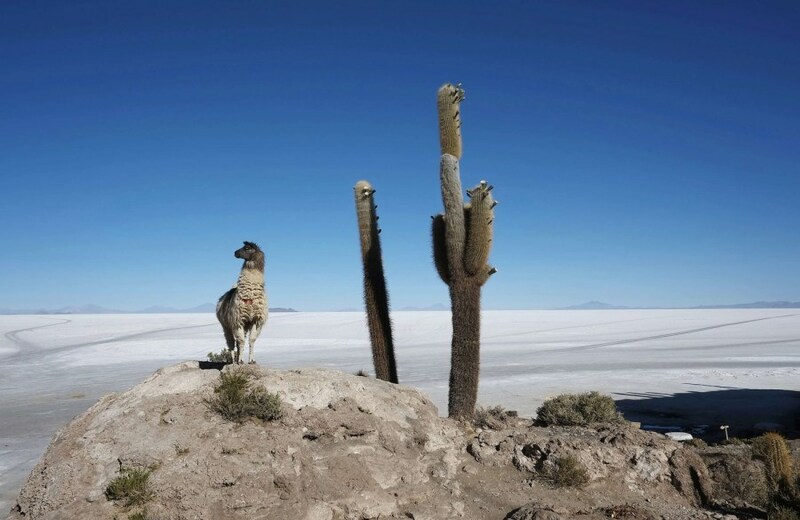 A llama stands next to a cactus growing on Incahuasi Island above the Uyuni salt lake, which holds the world's largest reserve of lithium, located at 11,995 ft above sea level in southwestern Bolivia, on Nov. 7, 2012. 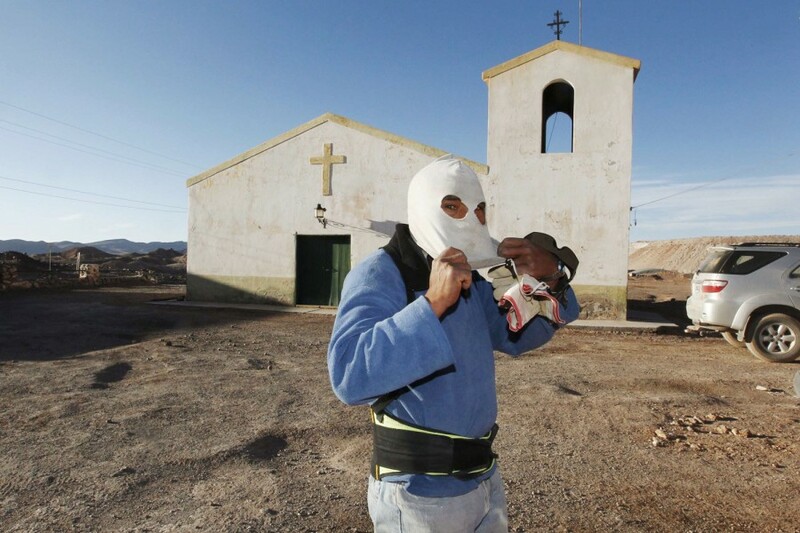 A worker from Galaxy Resources lithium mining division puts on a mask before going to work at the Salar del Hombre Muerto, or Dead Man's Salt Flat, an important source of lithium at around 13,123 feet above sea level on the border of the northern Argentine provinces of Catamarca and Salta, on Oct. 28, 2012. 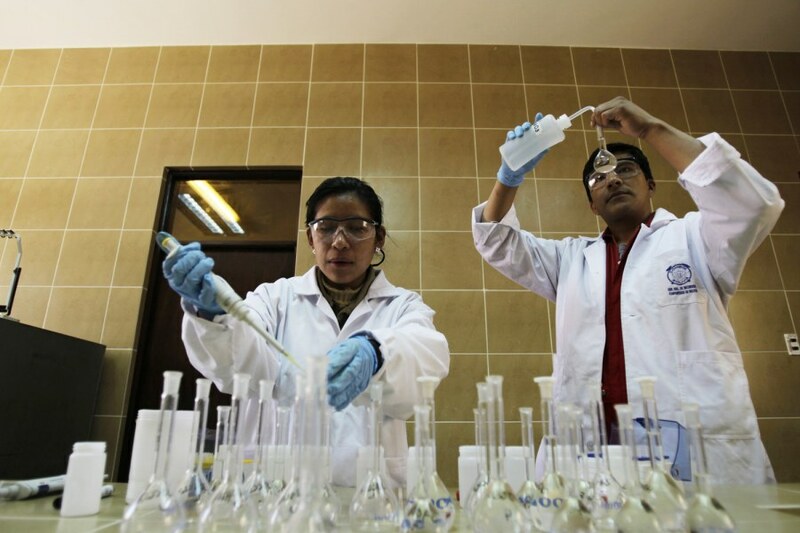 Laboratory technicians Gabriela Torrez and Bernabe Apaza analyze brine samples at the lithium pilot plant on the southern edge of the Uyuni salt lake, which holds the world's largest reserve of lithium, located at 11,995 ft above sea level in southwestern Bolivia, on Nov. 5, 2012. 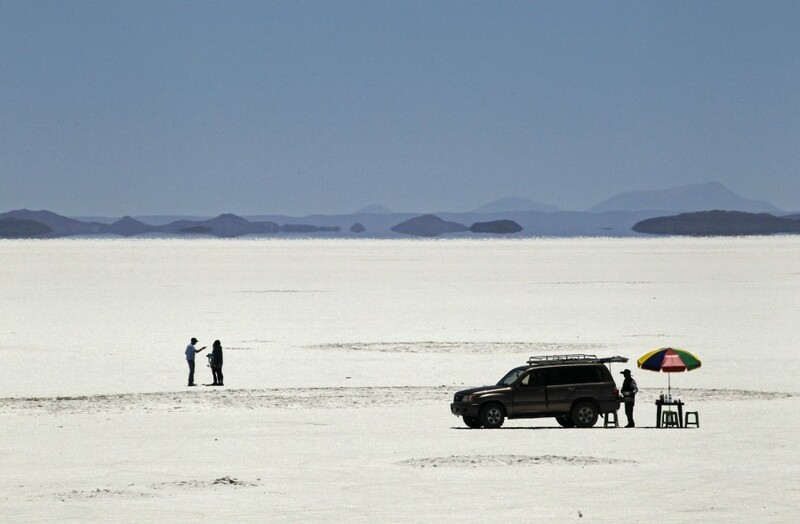 Tourists prepare for a picnic on the Uyuni salt lake, which holds the world's largest reserve of lithium, located at 11,995 ft above sea level in southwestern Bolivia, on Nov. 7, 2012.